Whether you are looking for a corporate membership which allows you to enjoy golf close to home or play multiple clubs across the UK, Love Golf has the membership package for your company. Golf courses are a great place to house business relations, both internally and externally, which is why the Love Golf corporate package has been designed to provide organisations with the choice and flexibility that cannot be found anywhere else. Each company membership will include 42 tee times (equating to 168 rounds of golf) to be split over one, two or three courses. Only Love Golf can offer a truly national network of propiety and members clubs, making a nationwide corporate membership a highly cost-effective business tool. This exclusive membership can only be found with Love Golf, bringing greater value, choice and flexibility to your corporate golf membership! The Love Golf membership packages work as an essential business tool and are a great way to entertain clients, strengthen and grow new and existing business partnerships, reward employees and offer them the perfect opportunity to unwind and socialise as a team. 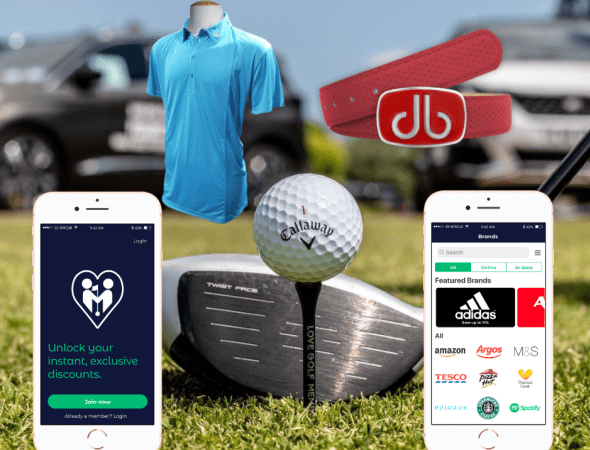 Your company will also receive the Love Golf Rewards app for your entire organisation! The app gives you and your employees exclusive discounts all year round, allowing your staff to save online and in-store at up to 160 national retailers.